Profits to Peace: The Role of Business in Promoting Positive Peace | The Hollings Center for International Dialogue | The Hollings Center for International Dialogue is a non-profit, non-governmental organization dedicated to fostering dialogue between the United States and countries with predominantly Muslim populations in the Middle East, North Africa, South Asia, Eurasia and Europe. The Middle East and North Africa region urgently needs ethical and sustainable solutions for the plethora of challenges it faces, including the pressure of displaced populations, growing unemployment, armed conflict, environmental concerns, and lack of food or water security. Multiple previous Hollings Center dialogue programs have noted the important need for sustainable economic growth and diversification. Most notably, the 2014 dialogue Corporate Social Responsibility (CSR) in Islam discussed the role the private sector can play in avoiding politicization, fostering social cooperation, and improving social cohesion. The private sector has an integral role to play in peace-building and reconstruction efforts. The behavior and practices of businesses can significantly impact environmental issues, health, education, labor rights and human rights. They can also act as a positive force to promote transparency and accountability, and move beyond the typical mandate of CSR. Sustainable, multi-dimensional business approaches and models are needed to deal with challenging global issues and to also ensure profitability both for businesses themselves and for the communities in which they operate. A strong case exists for businesses to engage in activity that promotes a positive peace paradigm. Evidence suggests that conflict is costly, and an environment that promotes human rights, sustainability, economic opportunity, and freedom can be highly profitable. 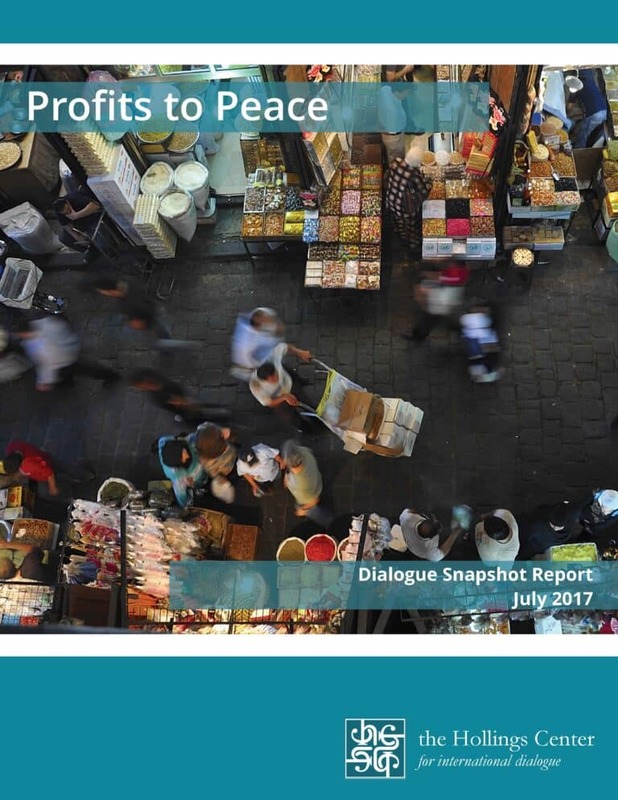 To integrate positive peace practices into their business, companies need to align stakeholder groups, including businesses, governments, non-governmental organizations, and communities. Additionally, improvements are necessary in connecting small and medium enterprises (SMEs) and large multinational corporations (MNCs). Stakeholders appear to want the same outcome, but are communicating about how to achieve that outcome using different terminology and concepts. Terminology and context are extremely important in promoting positive peace and a good environment for business development. Getting these groups to communicate with one another better should be an important focus. Ethics, accountability and good governance should be actively supported by all groups. There are many actions that can be undertaken to improve business culture, such as reforms in business education curriculum. Likewise, consumers can play a role in holding businesses and states accountable for their actions. Perceived risks play a greater role in inhibiting investment in conflict-affected areas than real risks. Working to correct these perceptions can remove barriers to market entry and spurn increased investment. The higher education systems do and will play a large role in the economic development of countries. And as such, the disconnection between higher education and the economy is a critical problem to address across the board. To discuss these concerns and generate ideas for resolving the gap, the Hollings Center convened a dialogue conference in February, 2015 that brought together academics, higher education professionals, economists, private sector representatives, and policy makers to analyze the prospects for cooperation in addressing concerns.